Delta of the river Ili. Photos by Silk Road Adventures in Kazakhstan. Travel from Almaty to Astana. 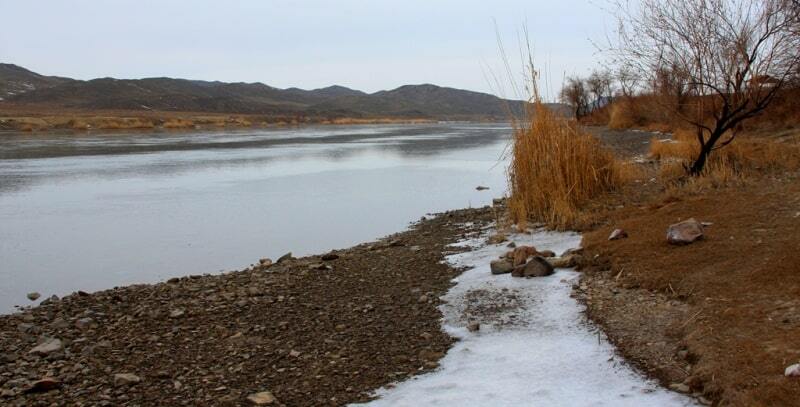 The Ili-or Ili in pure Kazakh-is the most important river in Zhetisu. Where the name originates remains uncertain. 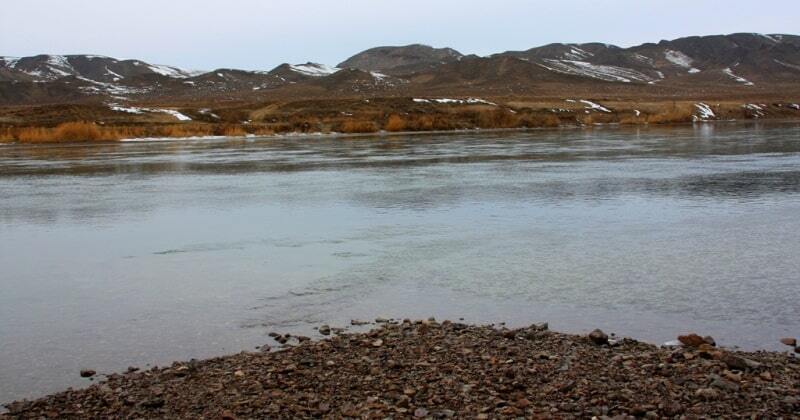 The Mongol word ilansu means “glittering water”, while in Chinese, the river’s name could also mean “eastern”. oday, anglers are the most common species seen on the banks of the generally quiet river. At weekends thousands of city people head for the river because of its rich fishing—although the Amur carp, sander (or pike-perch) and giant catfish are not always the real goal of people on weekend fishing trips. The lli is long, and if you want a peaceful excursion away from the crowds that is easy to arrange. Various tourist agencies offer boat trips as far as Kapshagay Keservoir, and you can continue the trip down the river beyond the dam by raft or boat. Here, the lli winds through a picturesque landscape of steppe hills. A particularly good day trip leads to the rocks of Tamgaly Tas. These rocks, the highest in the lli Valley, are known not only for their attraction to climbers, but also for their rock carvings, the most mysterious among which are several Buddha images. It is assumed that the large Buddha figures and the Sanskrit inscriptions carved in the polished rock date from the Kith Century. At the time, there are said to have been Buddhist monasteries in the east of Kazakhstan, which were later dismantled by the Zhungars. The pagan inhabitants of the steppe would doubtless have added the Buddhas to their animist pantheon without any problem. This is a wonderful place for a picnic, to explore the surrounding area, to fish or to climb. The view from the rocks, which are easy to climb, is magnificent. One can easily imagine the surrounding hills populated by large herds of horses, sheep and cattle, women in multicoloured robes and their children playing outside the yurts. Many places here bear names recalling that the Hi Delta used to begin here in times past. On the edge of the easternmost dry bed (Shet Bakanas) are the remains of the Акtam and Aghash-Ayak caravanserais (Xth - XIIIth centuries AD). Some 150 kilometres to the west of Shet Bakanas are the ruins of the caravan town of Karamergen, on the "bank" of the dry valley Ortasu. Those not wishing to venture so far into the desert can also visit the remains of the Bayauly caravanserai (Xth - XI th centuries AD) on the right branch of the Ili not far from the village of Kereke. To get there you must leave the main road in Bakakbakty and drive through Birlik, which has the only normal bridge crossing the right branch of the Ili. There are no organized tours to these almost forgotten caravanserais, but if you are determined to see them, be sure to hire the services of a good local guide, take sufficient water and provisions, and a spade and wide mat to get your car out of the many sand traps to which it will inevitably succumb. Togaу and reed forests make this an adventurer's dream. It is wonderful country for ornithologists in particular, and each year in May, the ecological organisation Tabigat organizes raft tours on the Ili. Further information can be obtained through there is no permanent tourist infrastructure as yet.